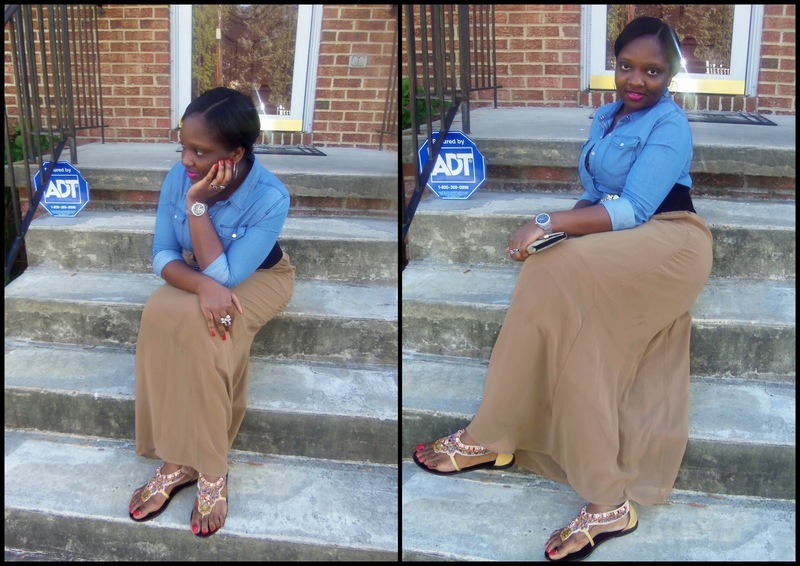 I decided to try out a new look yesterday; I went boho but I put my own twist to it. 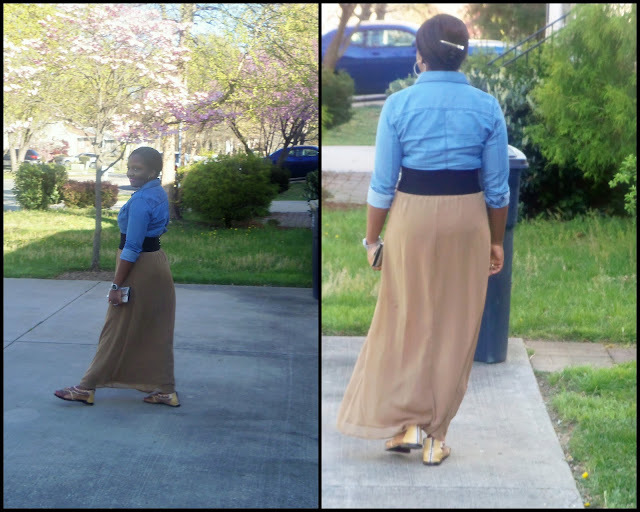 Instead of the normal flowy tops and skirts; I paired my flowy maxi skirt with a denim shirt. Denim shirts have been trending since lass fall; and they are still in for spring. I love them because you can pair them with basically anything. They look great with regular denims, colored denims and skirts too. Nail Polish: Kardashian Kolors "Kourt is Red y for a Pedi"
Hope you all are having a great weekend! Thanks for visiting my blog and HAVE A WONDERFUL EASTER!